Greetings to you from Malaysia! 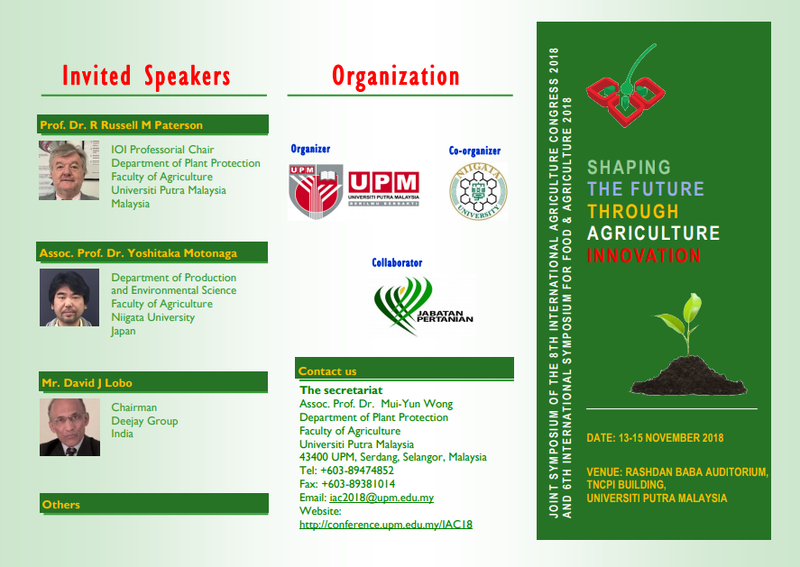 The Organizing Committee is pleased to bring to your attention the second announcement of the 8th International Agriculture Congress 2018 and 6th International Symposium for Food & Agriculture 2018 (IAC-ISFA 2018) as attached and with the following details. 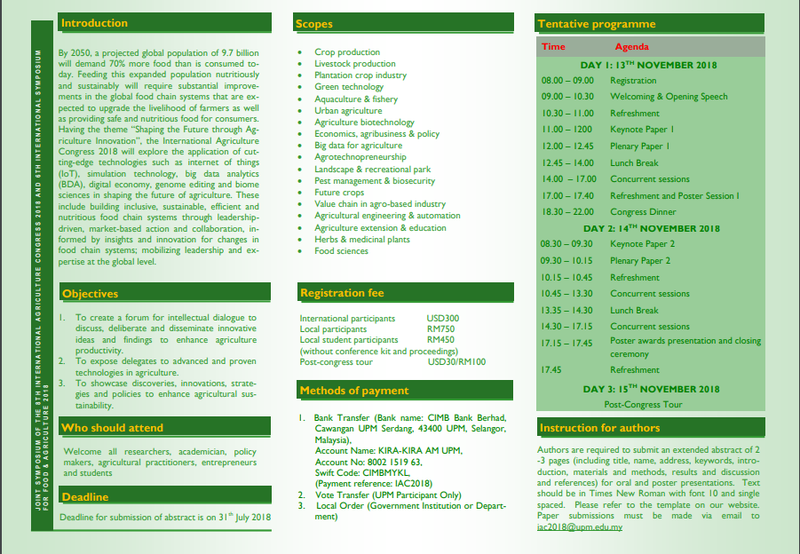 The theme of the joint symposium is "Shaping the Future through Agriculture Innovation".